3 Bedroom / 2 Bath / 1,458 sq. ft. The sophisticated color palate of the 3 bedroom 2 bath Manhattan is sure to please the most discerning tastes. Enjoy eating at the 2 person breakfast bar while enjoying your favorite TV show or movie at the built in entertainment center. Kick back in the private master bedroom and adjoining bath featuring his & her sinks and mirrors and a 2 door walk in closet. 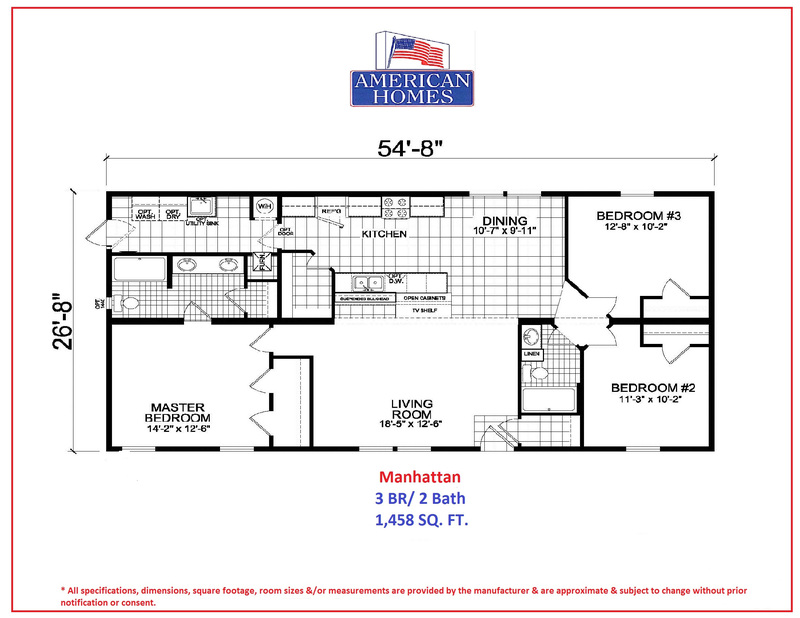 The refined, modern Manhattan has the amenities you deserve at a price you will love!